Having suffered badly at the Second Battle of Passchendaele in the last quarter, the first quarter of 1918 was relatively quiet for the 49th Battalion. However, March saw the beginning of a major German Spring Offensive. 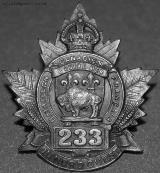 Western Canada’s 233rd Battalion was an attempt to raise a CEF battalion made up of francophone soldiers recruited from Alberta, Saskatchewan and Manitoba and led by French-speaking officers. 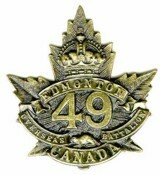 It was headquartered in Edmonton and was to be the last CEF infantry battalion raised, at least in part, from that city. The Second Battle of Passchendaele (October 26 to November 10) was, in percentage terms, the costliest battle the 49th Battalion ever fought. The battalion lost three quarters of its strength in a few hours on the morning of 30 October. 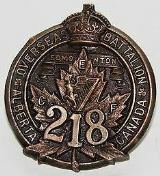 The 218th Canadian Overseas Infantry Battalion’s story began on February 23, 1916, and ended with their conversion to Canadian Railway Troops in January of 1917. 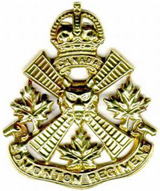 The unit served through the remainder of the war as the 8th Battalion, Canadian Railway Troops. 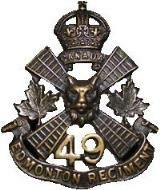 The Edmonton Regiment had closed out March 1942 with exercises that emphasized defence against panzer and parachutist attacks. The fear of a German raid had not gone away. More of this training and preparation would continue in the next quarter. Vimy Ridge: April 9-12, 1917 – This battle marked the first engagement of the complete Canadian Corps (4 Divisions), fighting as a formation within the British 1st Army. The Canadian Corps (with one British Division attached and over 100,000 soldiers) took the enemy trenches, gained control and held the high ground that dominated the region. They then stormed down the ridge and fought through and beyond the village of Vimy. The cost of winning the battle was high. Canadians suffered over 10,500 casualties, of which 3,598 soldiers were killed in action. During the first quarter of 1917 the 49th Battalion was in the Vimy Ridge sector. January saw two tours in the front lines while February was highlighted by the departure of Lt.-Col. Greisbach and the start of preparations for the epic Battle of Vimy Ridge. 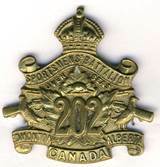 Mobilization of the 202nd Battalion was authorized on February 4, 1916. However, it wasn’t until eleven months later that the 202nd Battalion was finally ready to go to France and fight as Alberta’s fifth battalion of infantry and the second battalion primarily from the Edmonton area to be deployed as a unit. Heavy Canadian casualties and a dearth of recruits in 1917 cancelled that plan. 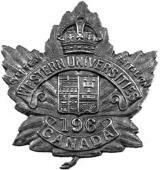 The 196th Battalion was the only Canadian infantry battalion in the Canadian Expeditionary Force raised by universities and largely composed of university staff and students. The universities involved were from Manitoba, Saskatchewan, Alberta, and British Columbia. The University of Alberta’s President, Henry Marshall Tory, played a significant part in the initial planning and recruiting for the battalion, particularly the U of A’s contribution to it. During the final quarter of 1916 the 49th Battalion continued to fight in the final stages of the Battle of the Somme. Most significant was the battalion’s part in the Battle of the Ancre Heights (Regina Trench system) followed by its move to the Vimy Ridge sector.